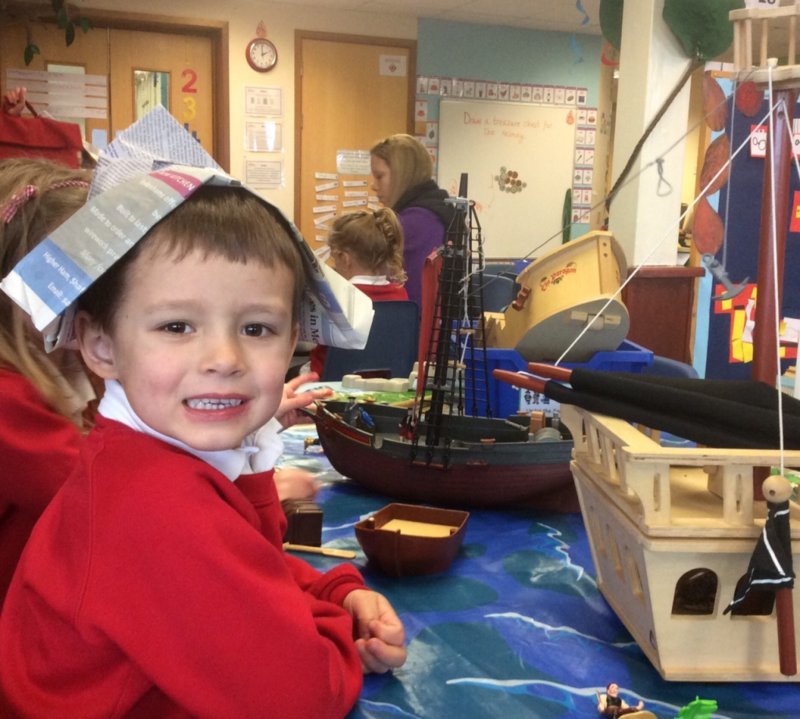 Wrens had a lot of fun learning about boats and pirates this week (as part of our topic called ‘Wheels, Wings and Other Things’). 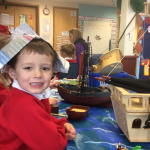 Here are photos of some of the pirate activities we’ve enjoyed this week. 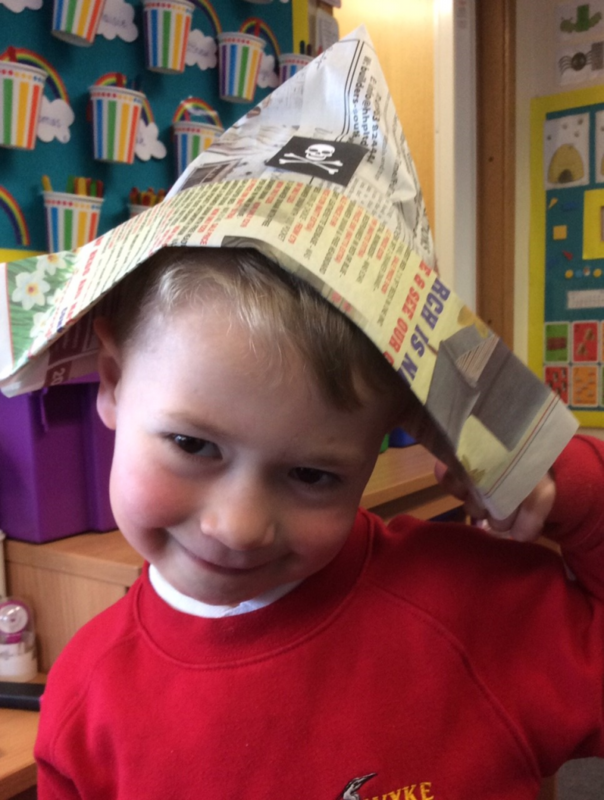 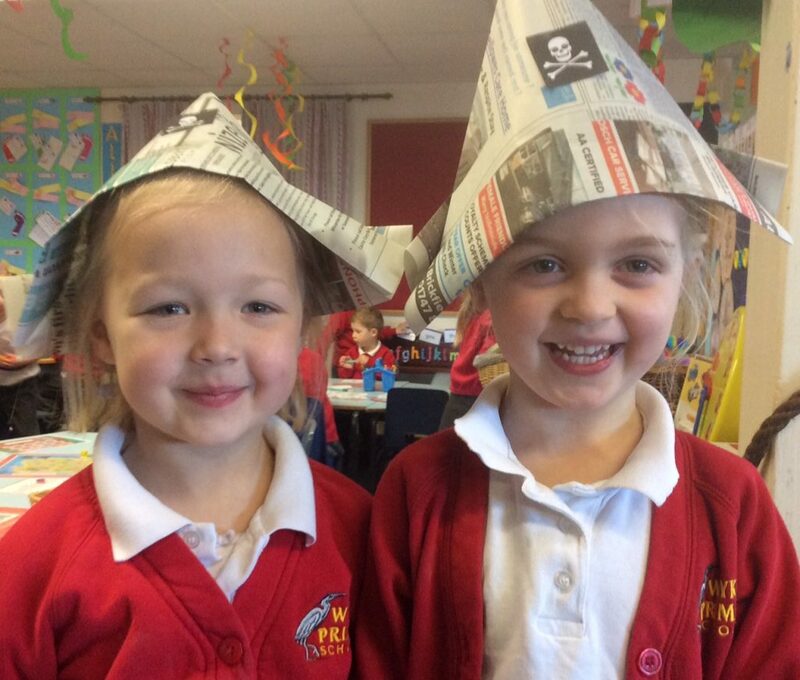 Following instructions to make pirate hats; mark making in salt with ‘parrot feathers’; ‘small world’ pirate role play; investigating how many rocks would make a pirate boat sink and a pirate themed forest school! 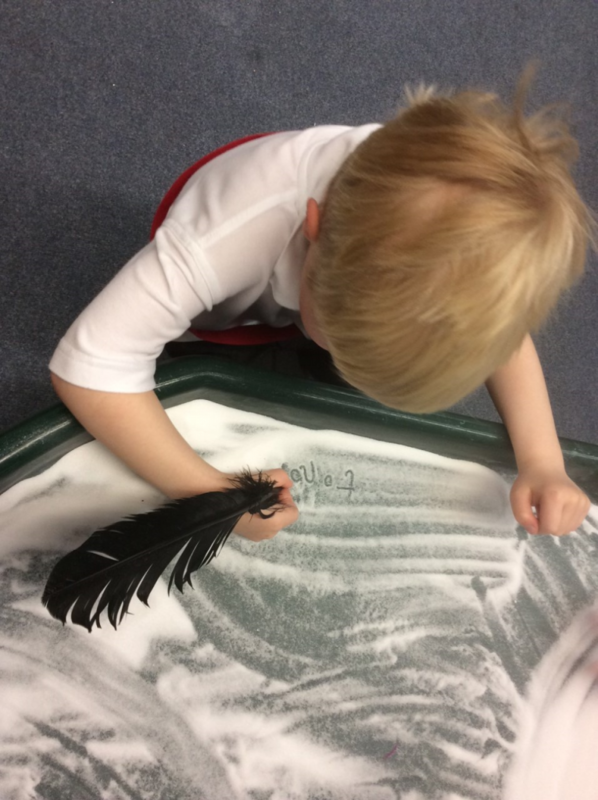 We had lots of fun making and flying paper aeroplanes as part of this year’s ‘Science Day’ – the theme being ‘journeys’. 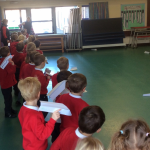 The children listened very carefully to the instructions to make a plane and they all did very well. 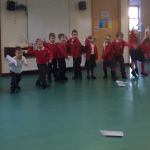 We then went into the hall to try out our planes. 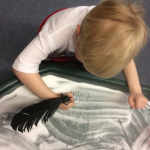 We explored making them fly and found the best way to throw our planes was aiming high and holding the nose. 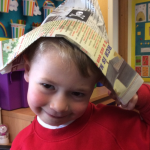 We then discovered that popping a paperclip onto the plane’s nose made it fly even better! 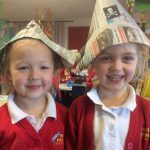 This week in Wrens we have been learning about Chinese New Year. 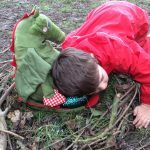 Our Forest School session had a dragon theme to fit in with this. 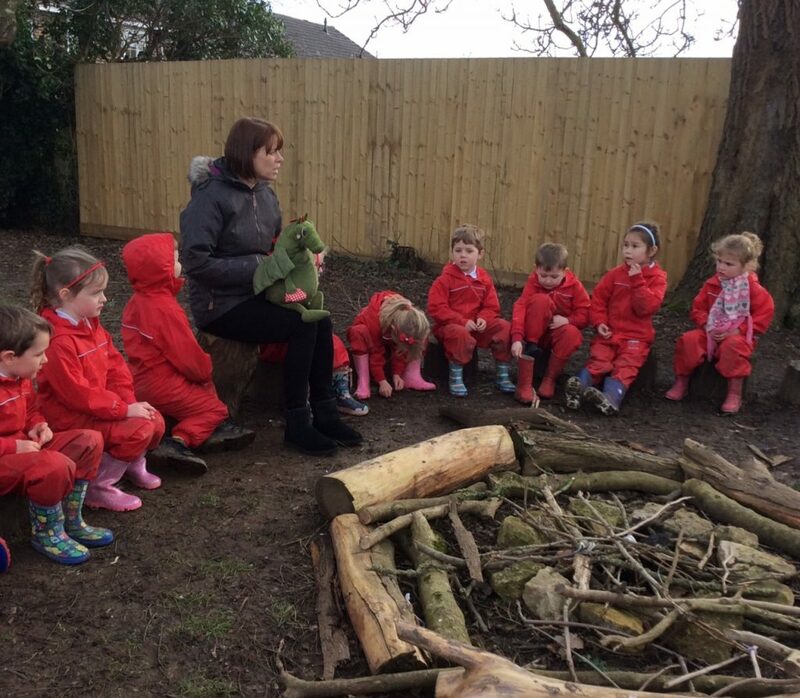 When we returned to the class after lunch we found a very sad dragon in our classroom. 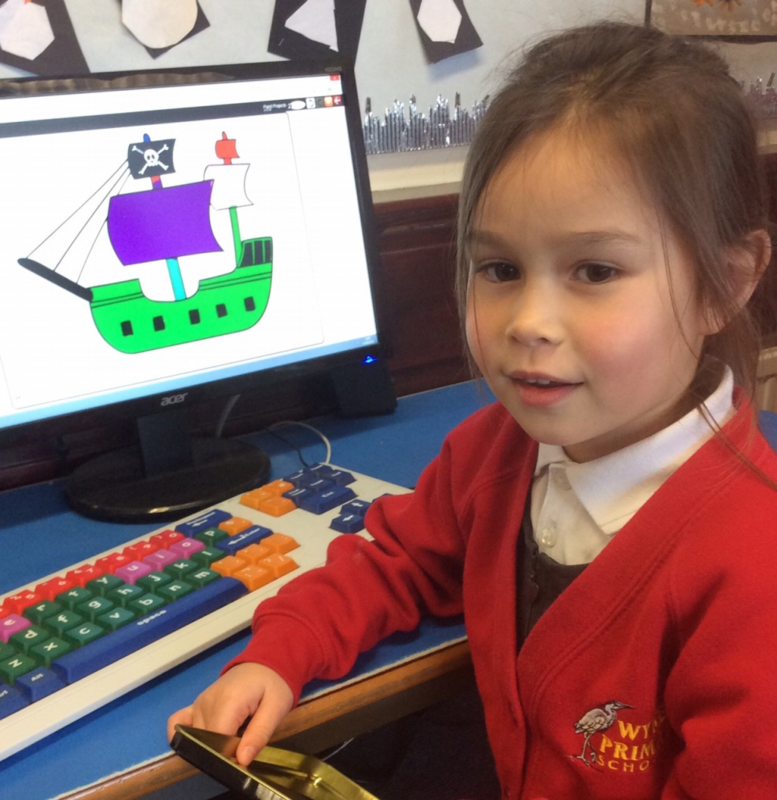 She was sad because the cat from the Chinese New Year story had stolen her beautiful egg. 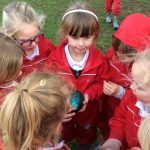 She needed our help to get her egg back. 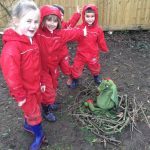 First of all the children had to build a nest. 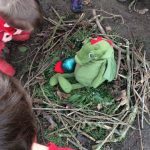 The nest needed to be the right size to fit the Dragon and an egg. 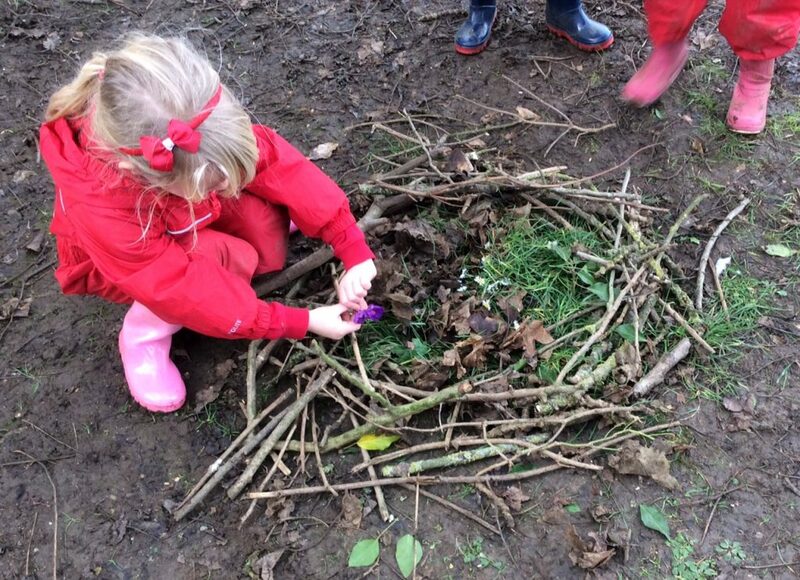 The nest needed to be strong around the sides but soft in the middle to keep the egg safe. 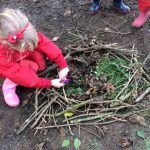 The children worked as a team collecting sticks for the edges and moss leaves and grass for the middle. 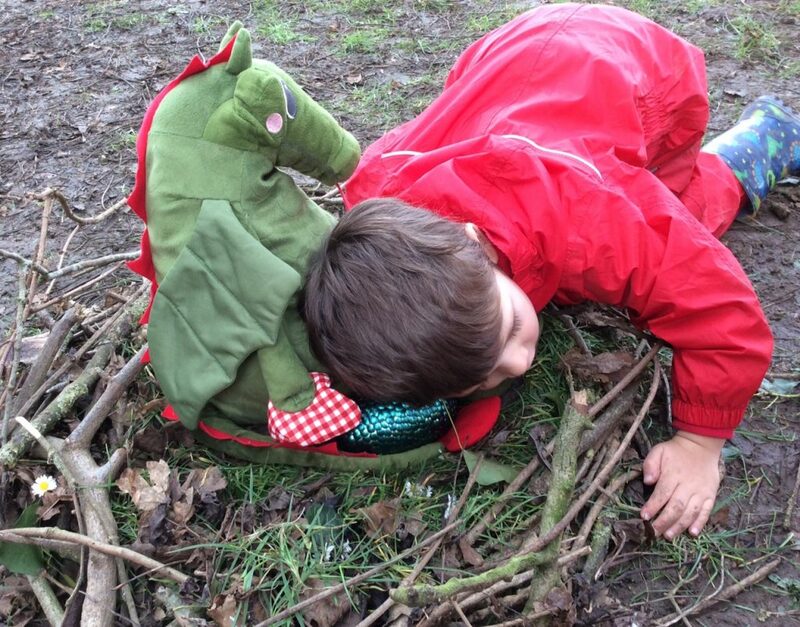 The Dragon then told us that the naughty cat felt sorry for stealing the egg and had returned it to Forest School. 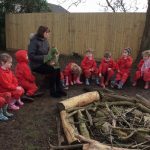 But, the cat was scared of the Dragon and so had not brought the egg very close – it was therefore up to the children to find the egg. 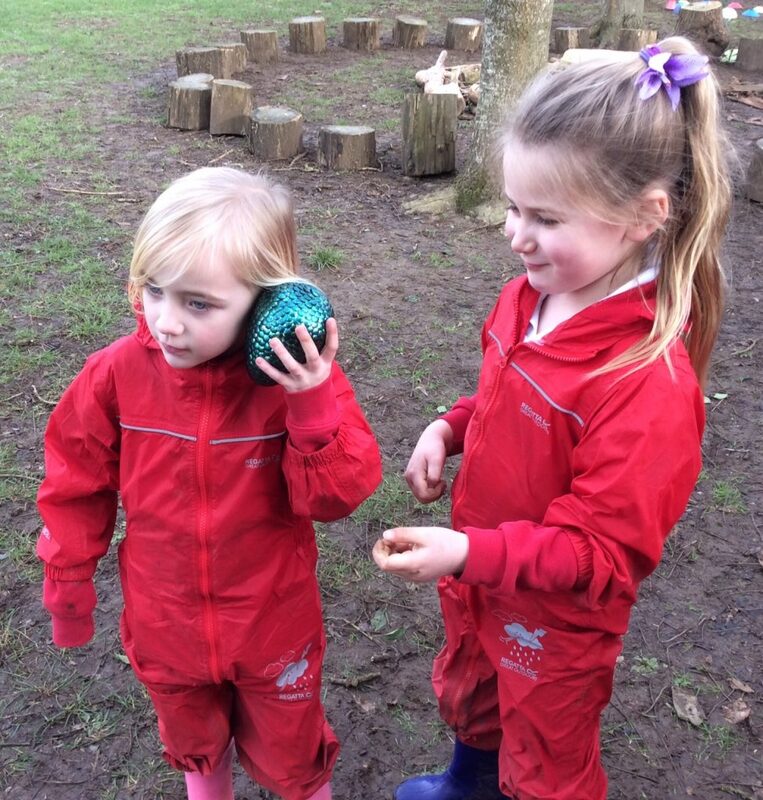 We talked about what a dragons egg might look like and the children decided it would be big and green and scaly. 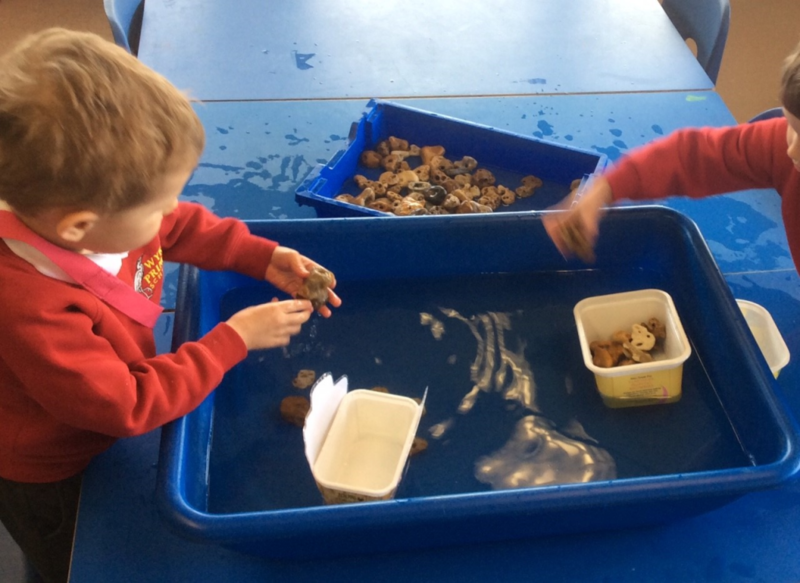 Some of the children also thought it might have a little bit of gold on it. 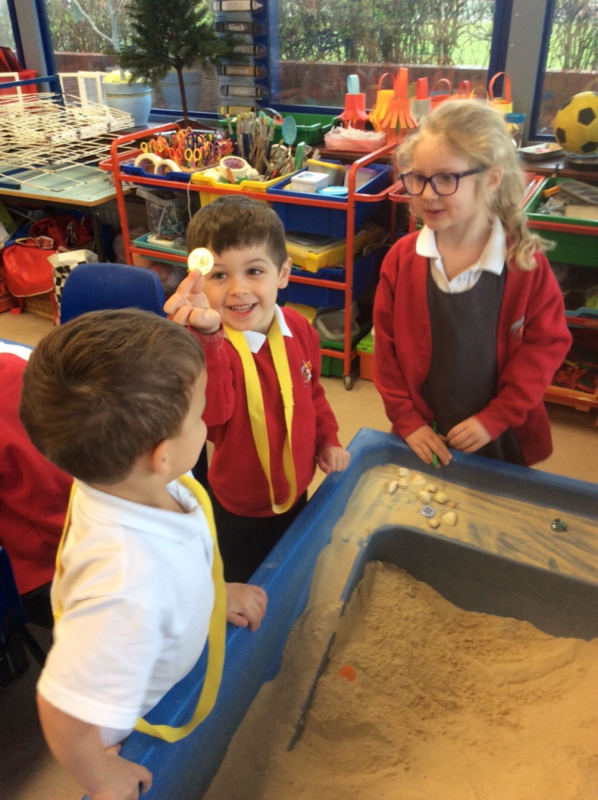 The children got very busy hunting for the egg. 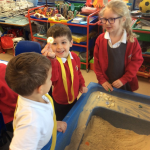 Maisie found it! 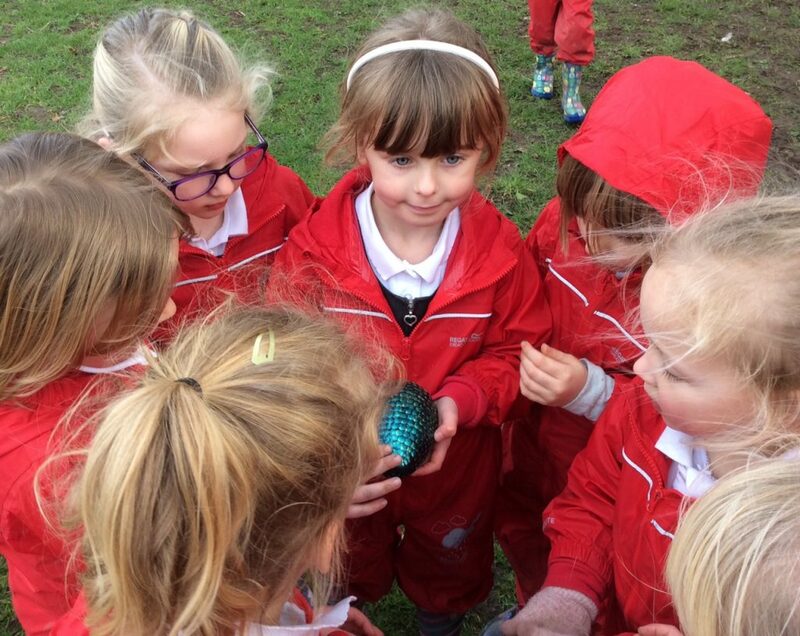 Amazingly, the egg was big and green and scaly and even had a little bit of gold on it! 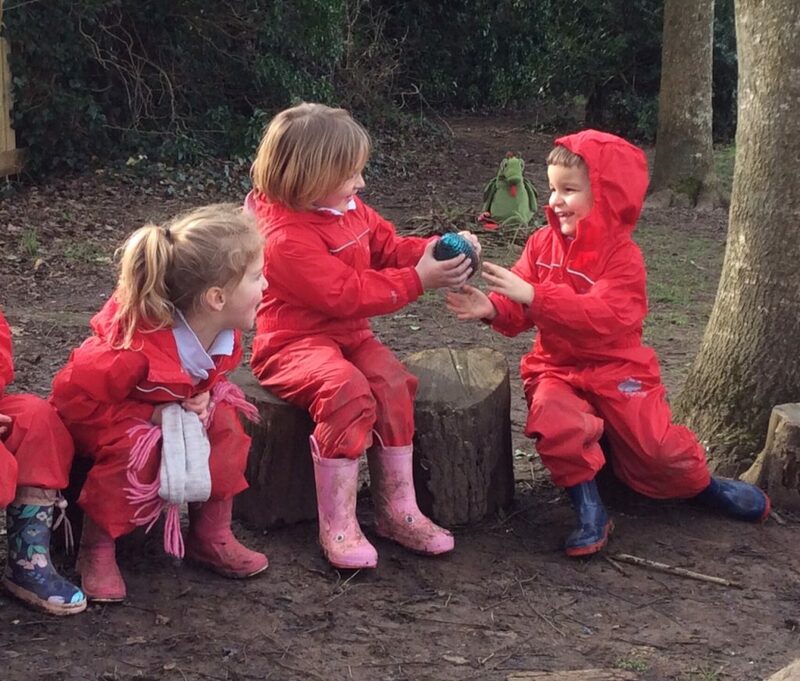 We all took turns to feel the egg – it was hard and cold. 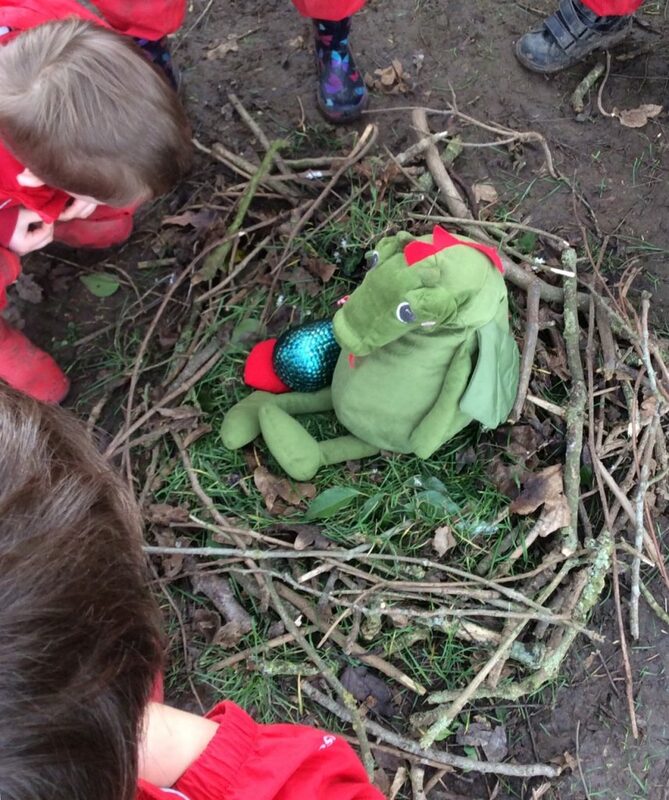 We placed the egg into the nest with the Dragon. 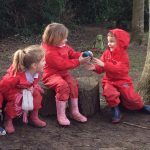 The children then went off to enjoy a few minutes of exploration and in that time some of the children were still very interested in the egg. Lots of the children thought they could hear something inside and others thought they could feel movement! 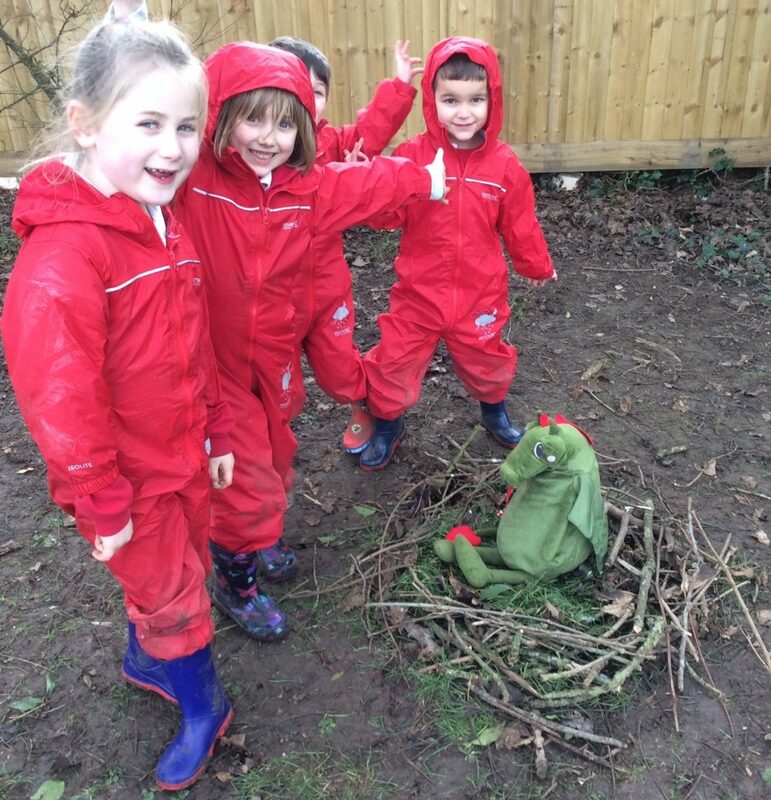 We then left the Dragon in her new nest with her egg and thought she would probably return to China. 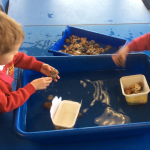 Here are some photos of us.